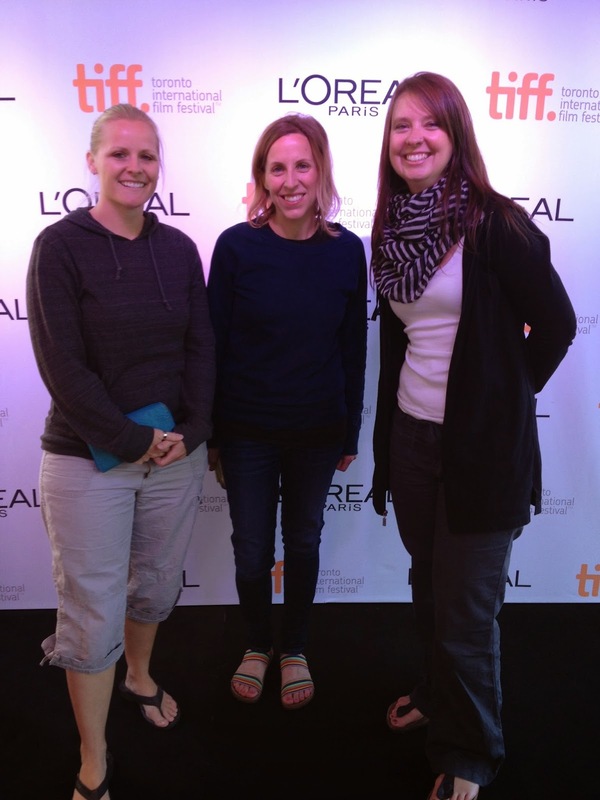 As a fourteen year veteran of TIFF (in the words of the etalk reporter that interviewed me!) I feel obliged to report on this year's event. I have had a lot of feedback from friends and family that say they look forward to my TIFF photos each year. This year did not supply stellar results. However, it was a very fun day with friends. 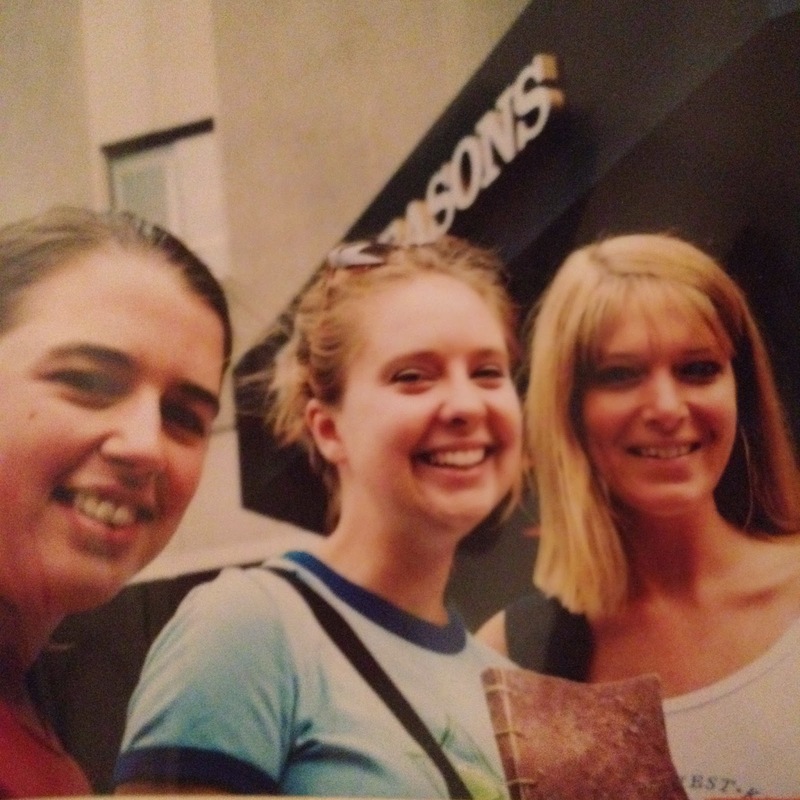 In September 2000, my friend Lisa asked if I'd like to go to the Toronto International Film Festival with her. Earlier that year, she had returned from a trip to LA where she got tons of autographs outside Elton John's Oscar party. She was enamored with Hollywood and the idea of seeing the stars up close and personal. While I admired her book full of scribbles and the stories that accompanied it, I could not imagine why she wanted to go to Toronto. I asked "Who are we going to see? Jim Carey?" She then explained that TIFF was a big deal. Second, only to Cannes. Well, well...that changed everything. Together with our other friend Janice, we booked a hotel and set off to do some star gazing. We were really not sure where we would end up, who we would see or what we were doing...so we came prepared, with ball gowns. Ha ha ha. So hilarious as I look back on the experience. 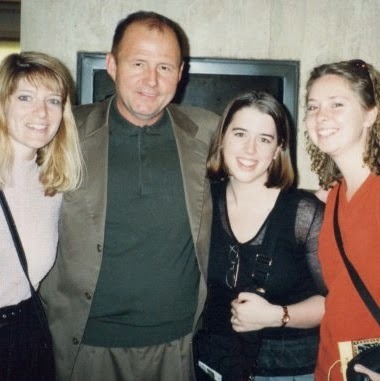 The first premiere we attended was for "Almost Famous" which remains one of my favourite movies. There were about 25 people there to see the stars parade in on the red carpet. Philip Seymour Hoffman, Jimmy Fallon, Frances McDormand, Kate Hudson... it was all very exciting. Fortunately we had left the ball gowns at the hotel. After that first night, we picked up this new hobby and were riding the subway like native Torontonians - navigating our way to the different premieres. At the advice of our entertainment reporter, Janice Zolf, we had drinks at the Four Seasons hotel the next morning. (Drinks being $11 orange juice!) She suggested we might spot some celebs there. And, it paid off. Lisa returned from the washroom in a flurry of excitement, encouraging Janice & I to go to the lobby as Dan Aykroyd was there. We met Dan as well as Mike Bullard and Al Waxman. Over the years, our "gets" got better and better until our books were filled with the who's who of Hollywood. The best autographs are the ones that come with a story. Like the time Keanu Reeves surprised us all by showing up in a cab. When Lisa dropped her sharpie and Sissy Spacek picked it up for her. When Benicio Del Toro paused to ask if I was ok when the people behind me were particularly pushy. When Pierce Brosnan spoke and took my breath away. And when George Clooney (best celeb ever) signed for hundreds of waiting fans with a broken hand! Two years ago, Lisa and I decided we were retiring from this annual event. The crowds just kept getting bigger and you had to arrive earlier to get a good spot. And, sitting on the sidewalk isn't as easy as it used to be! So, in 2013 we did not attend TIFF. We both admitted that we missed the adrenaline rush that goes with that weekend. So, when my friends Karen and Kim asked about going with me this year...I said sure! It was fun to take 2 noobies with me and show them the ropes. TIFF has become a huge deal in Toronto now with King Street completely closed down the day we were there. While we were waiting, we were interviewed by etalk, scored some free lipstick from L'Oreal and free coffee from McCafe as well. We managed to snag a few autographs when the stars arrived, but happened to be in an area they tended to skip over. Boo to that. Tina Fey, however, walked straight toward me with sharpie in hand. She was ready...and so was I. Another TIFF has come and gone. Will I return next year? Not sure yet. But, it is kinda fun that most any movie I watch, I can say ..."I have their autograph". 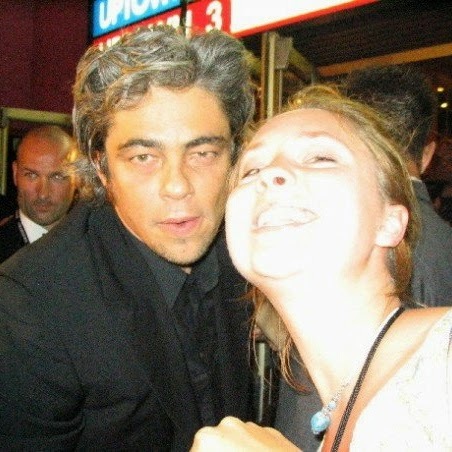 Okay, so I've always been rather partial to the Benicio Del Toro picture and the 'angle' ... well done, darling. And well done, on Ben-Del-Tor's part ...pushy people!!! !